These grills blend the traditional bbq with the convenience of today's technology. Green Mountain offers pellet flavors to enhance the grilling experience. 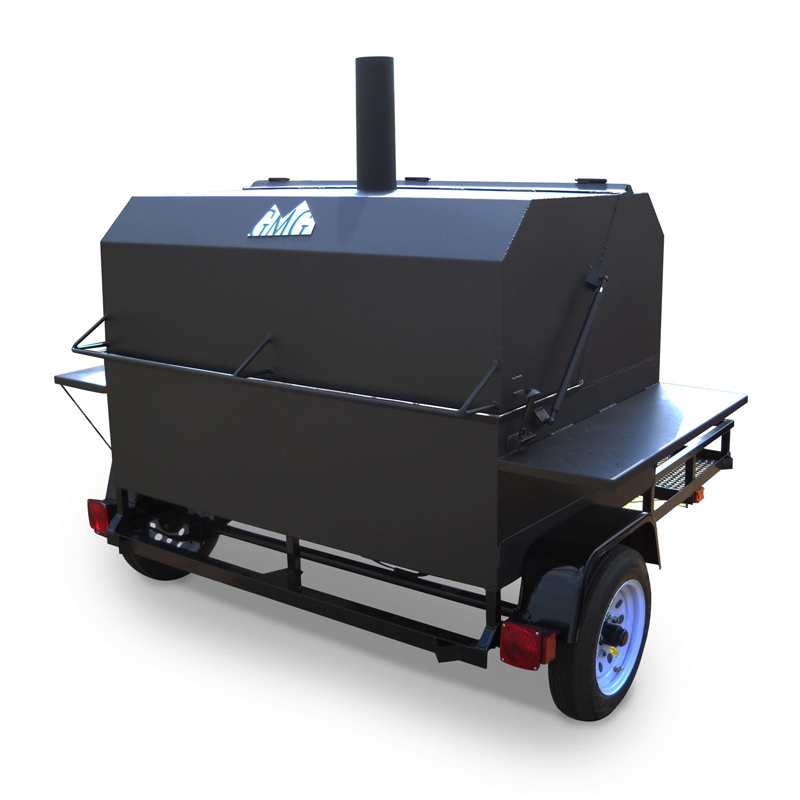 Green Mountain Grills manufactures one of the most advanced pellet smokers that can be controlled from a smartphone. The Green Mountain Grill app can monitor and control the temperature of the smoke chamber. It also monitors the internal temperature of the food and sends notifications when the food is done or the pellet hopper is running low on fuel. Convert your GMG Pellet Grill into a gourmet pizza oven. The pizza oven attachment captures and funnels the heat from the Firebox directly up and into the steel baking chamber encasing the pizza stone. It creates temperatures up to of 800°F, allowing you to cook pizzas in 2-4 minutes. These smokers can be utilized for a wide range of cooking styles. 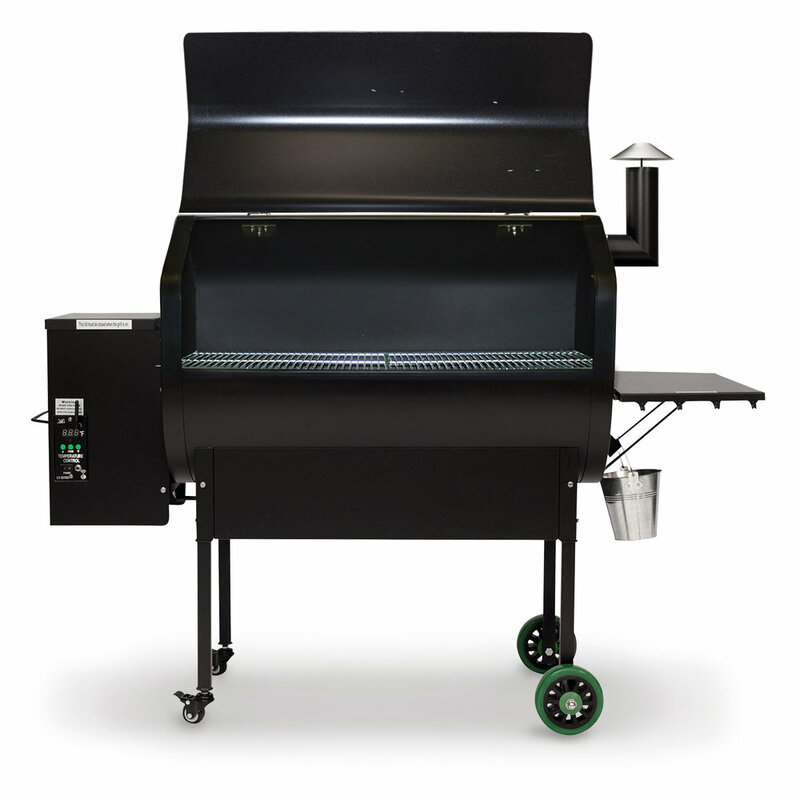 Green Mountain Grills have the ability to maintain precision control over a wide range of temperatures. This allows for low temperature smoking, medium temperature baking or high temperature grilling. There is an unlimited range of food that can be cooked on these smokers; pork shoulders, ribs, biscuits, pies, steaks and hamburgers. The one common denominator is that all of these foods will enjoy a true smoked flavor from the Green Mountain pellet smoker. 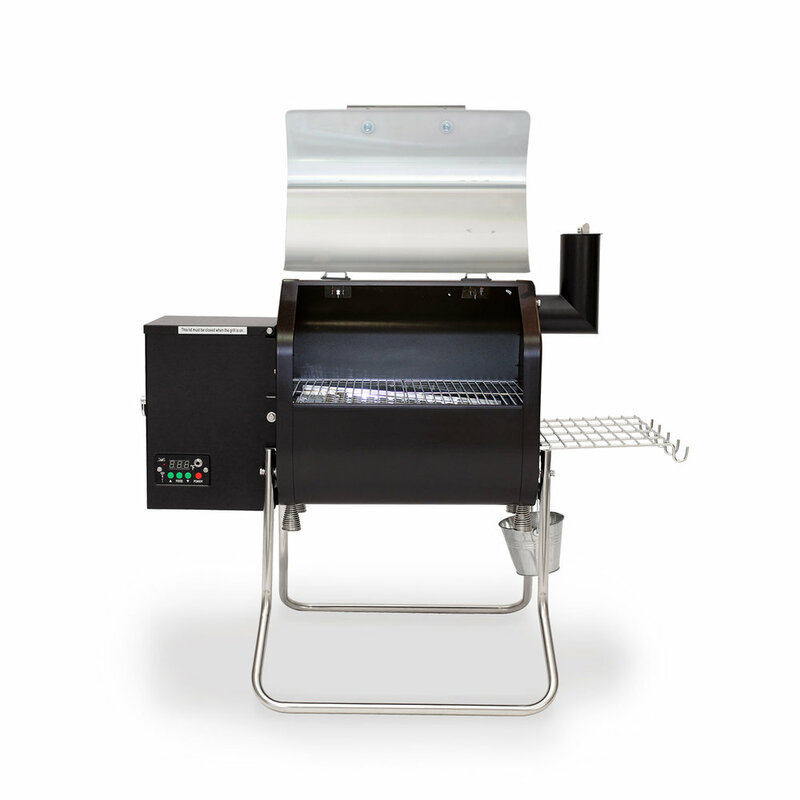 Green Mountain Grills also offers custom blends of food grade pellets. Each bag has a unique mix of different hardwoods to complement the food. Dry rubs and flavored sauces are also available.